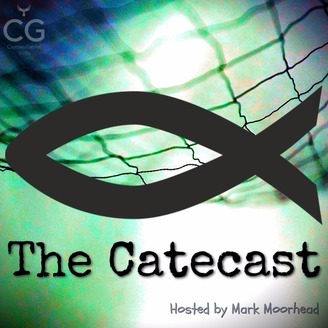 A podcast hosted by Golden Apple Award-winning catechist Mark Moorhead, a fisher of men, "Catecasting the net" to win souls for Christ! #0052 - Jesus Serves through Matrimony and Holy Orders... host Mark Moorhead shares a catechesis on life in Jesus Christ by taking a look at the Sacraments of Service - Matrimony and Holy Orders. Interact with the show and be featured on The Catecast! That's right! Share your thoughts and we'll share them on the show! Listener comments are most welcome, and if you've got questions, fire away. Maybe we'll even feature your question in the next "Food For Thought" segment! 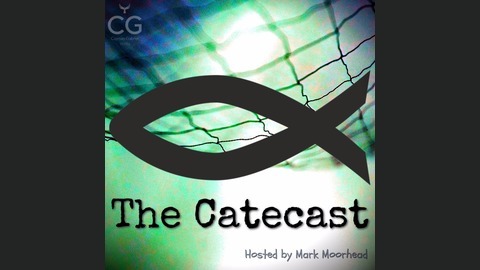 The Catecast is a podcast that aims to share the Catholic faith with anyone who wants to learn. Mark, the host, does this in his own engaging style. He relies on over 15 years of full-time catechetical experience and an advanced educational background in Catholic theology. His systematic approach is simultaneously thorough yet entertaining, and it's sure to capture your attention. You'll be having fun and learning more about the Catholic faith in no time! Many thanks to Ben Walther for permission to use his inspirational music in the production of the show. The current strand of lessons are based on the Christ Our Life series by Loyola Press. Stay tuned for more next time as we continue "casting the net" to win souls for Jesus Christ on The Catecast.